Catamarans Happy Cat Evolution, Grabner, ready to sail at our sailing school, in Talamone (GR) Tuscany! Come to sail for a free test! 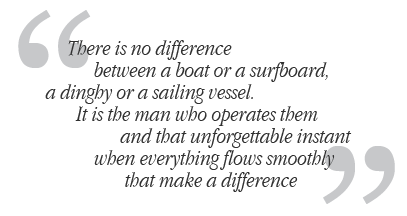 BluTribù is an offshore sailing, dinghy and windsurf school established in 2001. It consists of both Italian Sailing Association instructors, operating since 1992, as well as of qualified yachting officials authorised to drive boats up to 500 tons by the Italian and British Maritime Coastguard Agencies. It offers dinghy sailing, windsurfing and open water sailing courses to pupils of any age throughout the whole year. 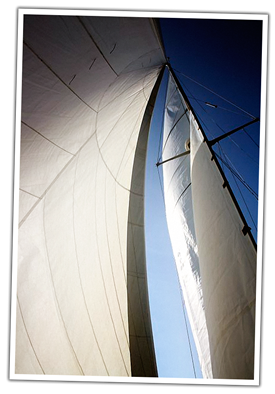 Here, pupils can learn how to sail, from the basics to racing, under the supervision of qualified instructors. 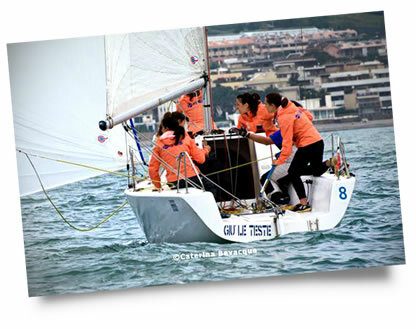 After the Este24 Italian Championship, 28 crews challenged each other in the sea near Santa Marinella (Rome). The female crew, headed by our instructor Eva Magalotti, scored well.